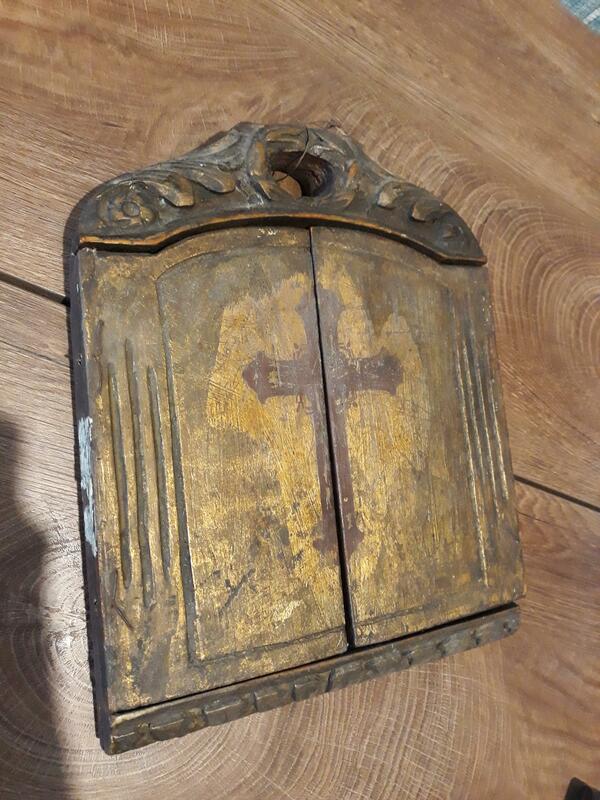 The item is a wooden window box that has a golden cross on the front when the box is closed. When the windows are opened there are three images inside. 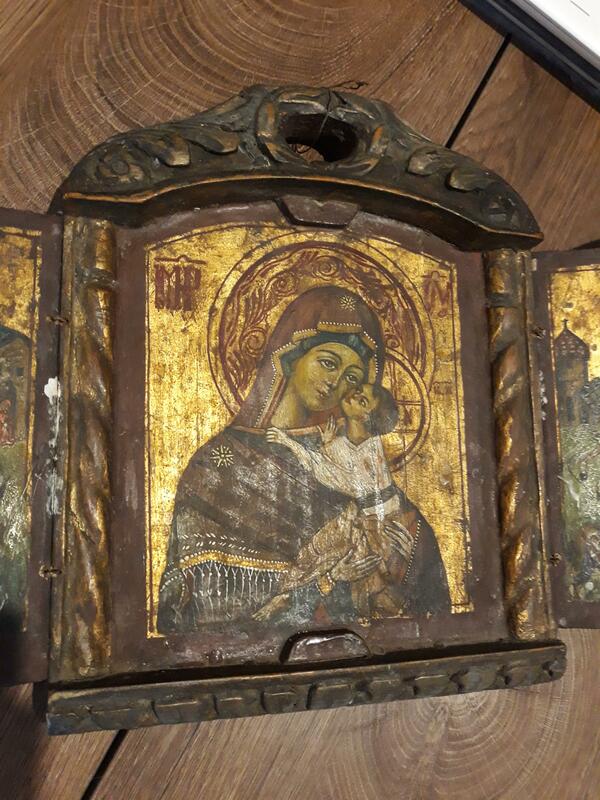 In the centre is an image of what seems to be mother Mary and the baby Jesus. 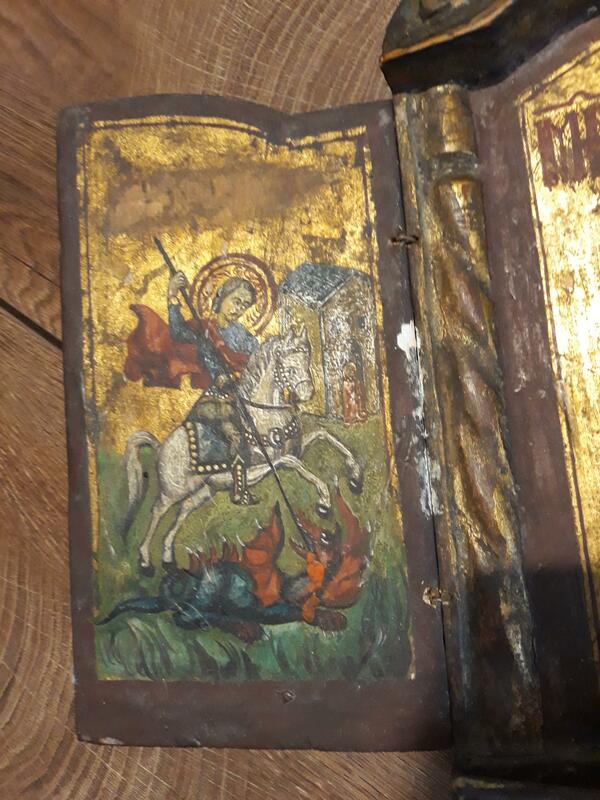 On either side is an image of a man on horseback spearing a creature/dragon. One side is a white horse and the other a brown horse. The back of the item has no marks or images. 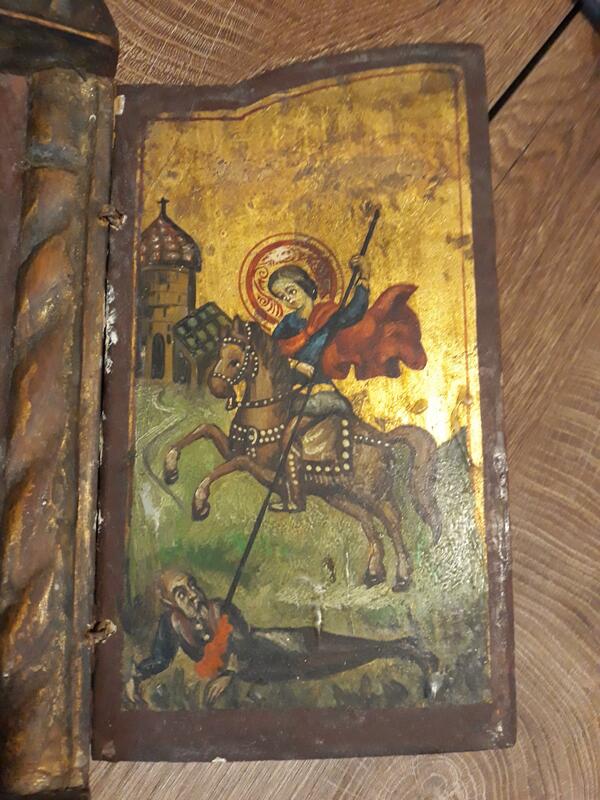 The item has no artist name and no dates.